This program contains 8 pages plus the cover. A total of 3 sheets of paper, printed on both sides and folded and stapled. The “full bleed” gives the program a professional look. 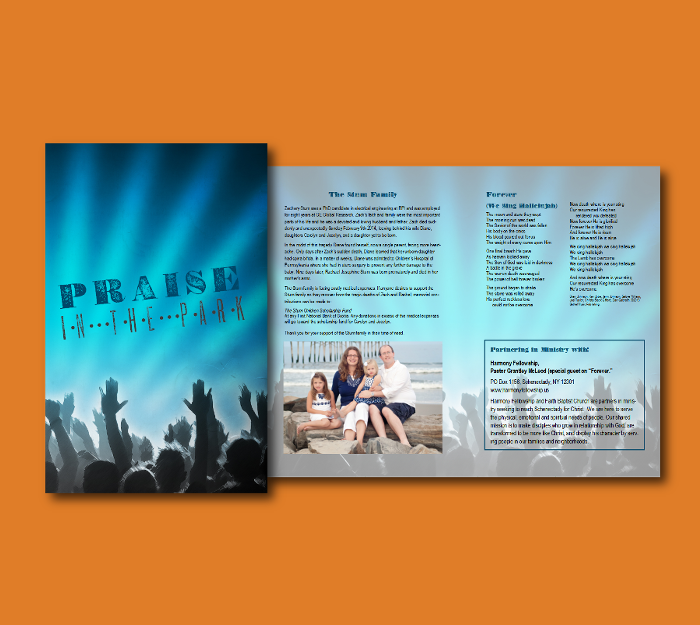 It contains lyrics of all of the songs sung at the event and other information about the church and about a fund-raising option to help a family in need. The back of the program (not shown) contains a custom map I created that shows the location of the church.